This guideline has been written by our practitioner Sarah Beesley (MHD Hons) to provide a comprehensive approach. The best result is gained when the whole guideline is followed. The best result is gained when the whole guideline is followed. Please be aware that results may vary and that if you have any pre-exisiting conditions, we advise working with a trained practitioner. Acid reflux is often referred as heart burn or indigestion and occurs as a burning sensation when acidic stomach contents are burped into the oesophagus or throat. Repeated reflux can inflame the delicate tissues of the oesophagus and throat, and long term reflux increases the risk of oesophageal and throat cancers. The stomach is supposed to be very acid. In fact, it is supposed to be able to cope with acid that is similar to battery acid in strength. When it is healthy, the stomach produces a mucous lining that protects it from the acid. It also makes digestive juices to break down the food that goes into it efficiently so the food does not start to decay in the warm environment the stomach provides before the digestive process is complete. Decaying and fermenting food causes burping and a gassy feeling in the stomach; symptoms that often precede or go hand in hand with reflux. Reflux is usually treated as though acid is the problem. Our clinical experience is that very few people have a true over production of stomach acid and that in 90% of cases the reverse is true; they usually have too little acid. The low acid levels allow the food they have eaten to ferment, causing the little acid that is there to bounce against the valve that normally serves to keep the stomach contents in the stomach. This eventually causes the nerves around the valve to weaken and to open inappropriately, and often both the stomach valve and the stomach lining become inflamed. We view and treat reflux as a stomach lining and weak digestion issue, not the result of too much acid. To remain healthy, the stomach requires zinc, chloride, B12, B1 and B6. There are many reasons as to why people become depleted in these nutrients. In many of the patients we have treated there have been metals or other minerals such as copper competing with zinc and the B vitamins for uptake. Where this is the case ordinary supplementation will have a limited effect. Antacid medications while helpful in the short term, are a band aid and long term can seriously impact a person’s health by limiting the digestion of proteins and fats and the uptake of minerals through the digestive system. We have used the following guideline to help many people resolve their reflux so that they no longer need antacid medication. 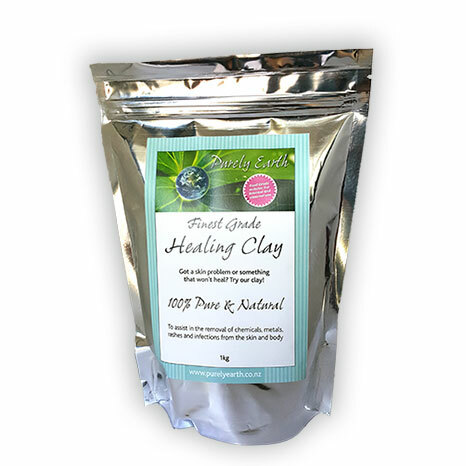 Use Purely Earth Clay internally to reduce reflux and improve stomach health. 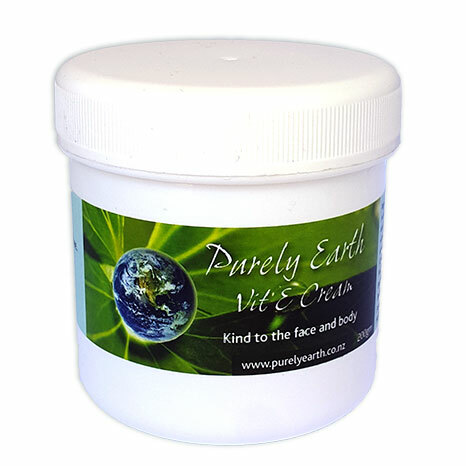 Make the clay into a runny, yoghurt-like paste by mixing the clay with water. The instruction for doing this can be found under How to use our clay internally. Take 1-2 Tbsp of runny hydrated clay with a glass of water on an empty stomach – once in the morning and once at night before bed. We recommend taking 1 Tbsp any time you get reflux during the day. After the first week, trial gradually removing any antacid medications. Once the reflux is resolved, trial dropping the clay down to 1 dose at night before bed. 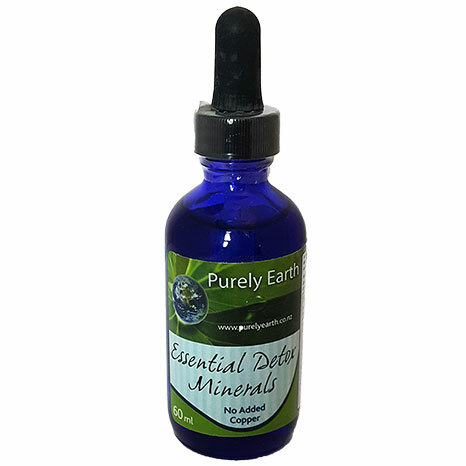 Use Purely Earth Essential Detox Minerals to provide the most commonly deficient minerals required to restore the mucous lining of the stomach, run the digestive enzymes and liver enzymes. Because they are liquid, they are readily absorbed which is important when the digestion is compromised. Use 2 -3ml of the liquid per day for adults and 1 drop per kilo of body weight for children under 12. Put into water or diluted juice. Remove inflammatory foods. You must identify and remove foods that are causing inflammation to the stomach lining. This can occur as a result of poor digestion of certain foods and the immune system having picked up on those foods as a problem. We recommend getting our Food and Chemical Sensitivity Test done. In our experience, this is essential to reducing the inflammation in the stomach. Remove junk food, fizzy drinks, spicy foods and alcohol. Trial using 1 tsp of apple cider vinegar (ACV) or the juice of 1 lemon in 100ml of water before each meal. If this improves the reflux, you have too little acid production but your stomach lining is in a reasonable state. You then have the option of either continuing to use the ACV or lemon, or trialling Betaine HCL at 1 cap with each meal as a means to increasing your digestive strength and the uptake of nutrients. If the ACV etc… makes the reflux worse, we recommend that you contact our practitioner Sarah. If you have tried to come off antacids without success in the past or the above does not do the trick, ask your doctor to test you for Helicobacter pylori (a stomach infection). If positive, follow the treatment offered by your doctor and take a quality probiotic 2 x daily throughout the process. Once you are clear of infection you must correct the weak digestion that allowed you get infected in the first place, otherwise you run a high risk of re-infection. This can usually be achieved by using a probiotic, Purely Earth Essential Detox Minerals and ACV or Betaine HCL as a digestive aid. If you have a long history of digestive problems, we advise that you work under the supervision of an experienced practitioner. For more details about working with Sarah, go to www.selfhealclinic.co.nz. Have a look at our Food as Medicine section for our Medicine Chest Smoothie and some other wonderful recipes. Bodies run on nutrients. Make sure you give yours plenty to play with. Eat lots of green and colourful vegetables and a good quality protein food at least 2 times a day. We do not recommend protein-deficient diets because protein is an essential nutrient required for repair, digestion and detoxification. If you choose to go vegetarian, get some good advice about how to get adequate protein within your diet changes. The World Health Organisation Standard is 1gm of protein value per kilo of body weight. This means a 60kg person requires a minimum of 60gm of protein value per day in their diet. A palm size piece of fish for example, contains around 25gm of protein content and 100gm of organic tofu contains 10gm. Limit your intake of leugmes and grains, even wholegrains. These contain substances which inhibit nutrient absorption and this can result in weaker digestion. Grains and legumes should be soaked for 24 hours prior to cooking to reduce the problem substances. Do not underestimate the effects of stress on your body. This can be stress due to a chronic inflammatory condition (think pain, tenderness, redness, swelling or aching), being over-busy, not breathing properly, eating foods that cause you problems, a lack of sleep, dehydration, infection, loneliness, or feeling emotionally vulnerable or unsupported. When your body is in stress mode, its focus will be on survival and functions such as digestion, detoxification and sleep will take a backseat. For digestion to work well, a relaxed state is required. We encourage you to make eating in a calm environment a priority. Eat regularly through the day and make good food a priority, not an inconvenience to be squeezed in amongst other activities. Do not do the “gobble-and-go” thing! Go to sleep before 10pm and get up before 7am. Your body clock requires this of you even if your head says otherwise. 1 hour of sleep prior to 12am is worth 2 hours after 12am in terms of the rest it provides. Avoid interaction with electrical devices (phones, computers, TV, play station, X Box, iPad, iPod and the like) for 1 hour prior to sleep and remove as many electrical devices from your bedroom as you can. DO NOT sleep with a light on and cover all digital light displays in your room, or even better, remove them. Mercury, toxic copper, cadmium and some chemicals will cause disruption to stomach acid production because they block the correct use of zinc, cobalt (used in B12), B1 and B6, so even if you take these as supplements they may not work as well as they should. When zinc, B1 or B6 are low or blocked, stomach acid will be low which will then affect the release of digestive enzymes from the pancreas and bile from the liver. This can result in poor digestion throughout the gastro-tract and less efficient clearance of toxins due to a lower production and release of bile from the liver. When insufficient stomach acid and enzymes are produced, the minerals required for healthy digestion are not absorbed as well, food is not digested properly and can start to ferment and putrefy in the stomach and digestive tract. The resulting fermentation and putrefaction can cause symptoms such as food intolerances, indigestion, reflux, irritable bowel, bloating and gas due to an overgrowth of pathogenic bacteria and yeasts in the intestinal tract. These can then cause inflammatory responses, increased permeability of the intestinal walls and abnormal immune function which may then lead to a myriad of complaints including reflux, indigestion, hay fever, aches and pains, hormonal imbalances, an overloaded detoxification system, food and chemical sensitivities, skin conditions, digestive problems, erratic bowel function, IBS, auto-immune disease, lowered immunity and yeast infections, mood imbalances, headaches, brain fog and fatigue. Yeast infections should always be addressed and this should be done under the supervision of an experienced practitioner. For more information on yeast infections Click Here. If you suspect toxicity has a part to play in the onset of your condition, we recommend you get our Metal and Mineral Test done.